Home » Altcoins » What Is Blocknet Coin (BLOCK)? What Is Blocknet Coin (BLOCK)? No blockchain could serve all application areas at the same time. There are already some technological applications. Blocknet offers a decentralised platform to connect them. The Blocknet Coin (BLOCK) has a market capitalisation of 88-105 million US dollars. Every day, 166-225 thousand US dollars are traded in Blocknet Coins (as of 01.12.2017). The platform provider Blocknet has its cryptocurrency. The cryptocurrency is used to pay for platform services. For users to be able to run their app on the platform, the corresponding nodes that run the apps must be paid for. This can be used by users in the cryptocurrency Blocknet Coin. Furthermore, it is possible to generate coins by displaying advertisements. Also, users must also pay a microfee to use the Blocknet infrastructure. The Blocknet network consists of a peer-to-peer protocol between nodes of different block chains. This is the basis of a technology stack that works via APIs and an application platform. It enables a wide range of applications and reduces development time. Furthermore, the Blocknet network needs specific core functions to function. The three core functions are interoperability, modularity and mobility. Blocknet provides a space in which block chains can be connected to each other to ensure interoperability. Otherwise, blockchains will work isolated. The linking of block chains offers a wide range of challenges and application possibilities. For example, anyone who wants to combine an encrypted messenger and smart contract functionality can do so via the blocked network. As far as mobility is concerned, block chains are not necessarily designed for mobile phone use due to their low storage capacity. Blocknet sees the solution to this problem in the connection between a large blockchain and a light version of it for mobile phones. Modularity primarily means that data sets are stored in different block chains. In this way, they can be easily exchanged piece by piece without touching or even damaging other data sets. Blocknet offers multi-blockchain services that can be delivered to different types of devices. As a platform, Blocknet provides an interface between the most diverse block chains. If a user is using an app on his mobile phone that is compatible with Blocknet, this app connects to apps on other devices via the Blockchain. It does not matter whether it is a multifunctional app or a single app. This allows a user to use the app in a normal way, but the app itself is structured differently. It is not based on a central unit but exists on many different devices, which are linked to each other via many different block chains. Apps can also be hacked by this decentralisation, which is done through a crowd-sourced network infrastructure, not so quickly anymore. The unique selling proposition of Blocknet consists in the offer of microservices via a blockchain-based peer-to-peer network. By dividing it into microservices, Blocknet remains modular and fast. Microservices can be simple apps that don’t handle complex processes. This also enables targeted updates, uncomplicated processing of individual block chains, whether archiving, updating or replacing, and ensures better fault isolation. Blocknet provides a decentralised network in which several different block chains can interact with each other. This makes it easier to connect smaller block chains with larger block chains. Because Blocknet works in a modular way, apps can be based on different block chains, but still, communicate with each other. Blocknet requires its cryptocurrency, the Blocknet Coin, for the payment of its services. You can’t buy it directly for fiat on any exchange. You can choose the best crypto exchange for your region and but BTC there, then trade it for BLOCK on exchanges. Learn here how you can instantly convert altcoins to bitcoin and vice versa. 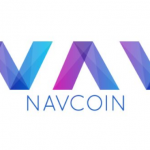 What Is NavCoin Coin (NAV)?